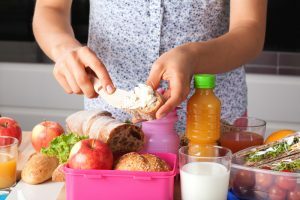 On those hectic workdays when you do not have a lot of time to worry about lunch, having a ready-to-eat meal handy is the best way to ensure you can continue following a healthy diet, especially if you are working hard at losing a few extra pounds. So, check out a few healthy easy-to-prepare lunch ideas below and use them on your busiest days. Quinoa bowls are a great way to enjoy a filling lunch that is packed with protein and fiber, along with energizing carbohydrates. All you have to do is toss some cooked or fresh veggies in with some cooked quinoa, and maybe even add in your choice of fresh herbs. A simple dressing that is made from apple cider vinegar or tahini could do the trick when it comes to topping your bowl off with some extra flavor, and you can even add some healthy fats to the mix by mashing up an avocado and adding it to the top. You’ll be surprised by how satisfied you feel! Who says that oatmeal can only be enjoyed for breakfast? Pack some oatmeal for your day at the office and then, during your lunch break, add some boiled water to it to prepare it quickly and easily if you want to avoid using the microwave. Top your oatmeal with some fresh berries or a sliced banana and you have a meal that is not only full of fiber and protein, but also really filling and packed with vitamins and minerals. Sure, peanut butter and jelly is a lunch that you used to eat while you were in school, but that doesn’t mean that you can’t have it as a working adult. The protein in the peanut butter—or almond butter, if that is what you would prefer—will help fill you up and fuel you up for the rest of your day. But the jelly that you choose should be natural so that you can avoid unhealthy ingredients like high fructose corn syrup and artificial preservatives. Pack a sandwich or two and you will have a lunch that you can eat quickly when you are pressed for time. A simple wrap packed with your favorite ingredients can also be a healthy way to have lunch rather quickly. Prepare it at home, pack it up, and then have it a few hours later at your desk. So simple, and so low in carbs too! With these healthy and ready-to-eat lunches, you can get through your busiest workday without feeling deprived and hungry.